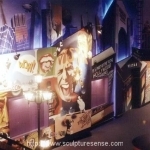 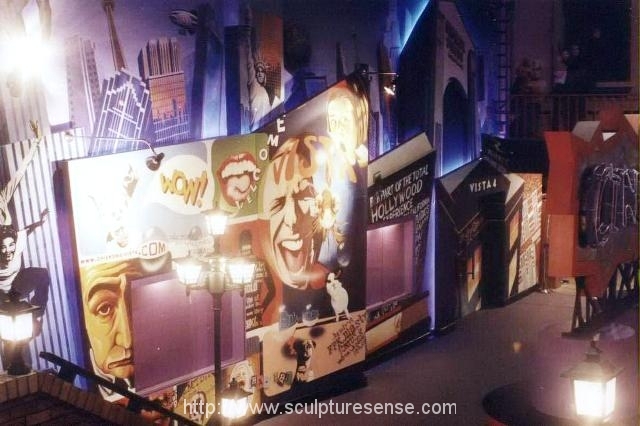 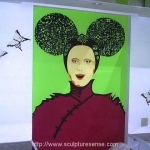 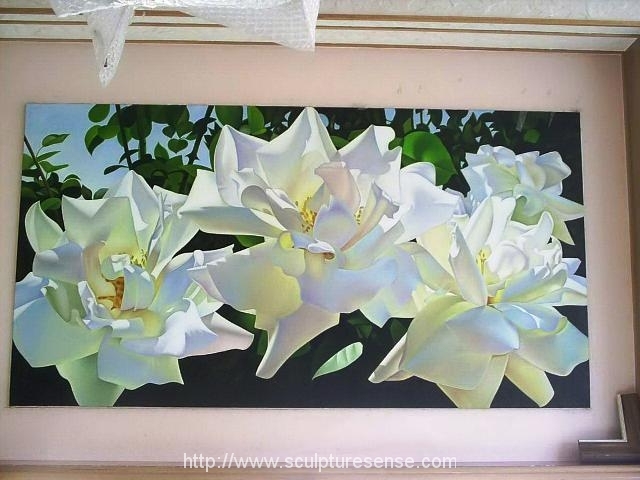 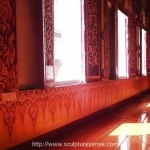 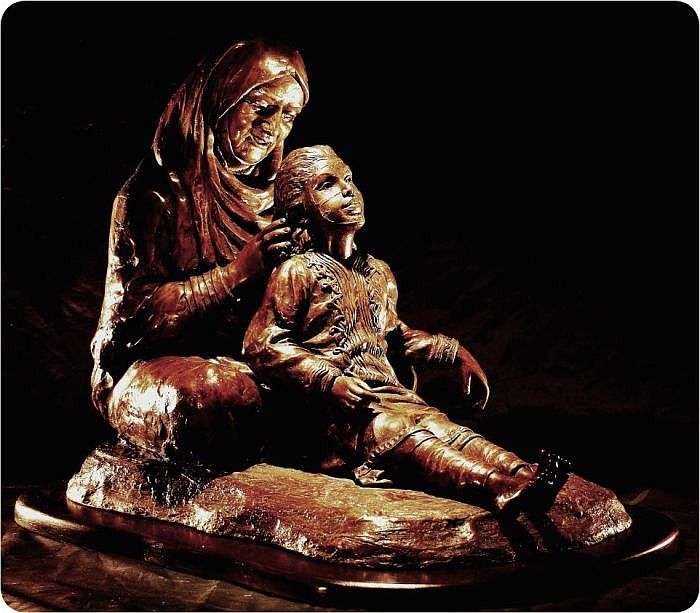 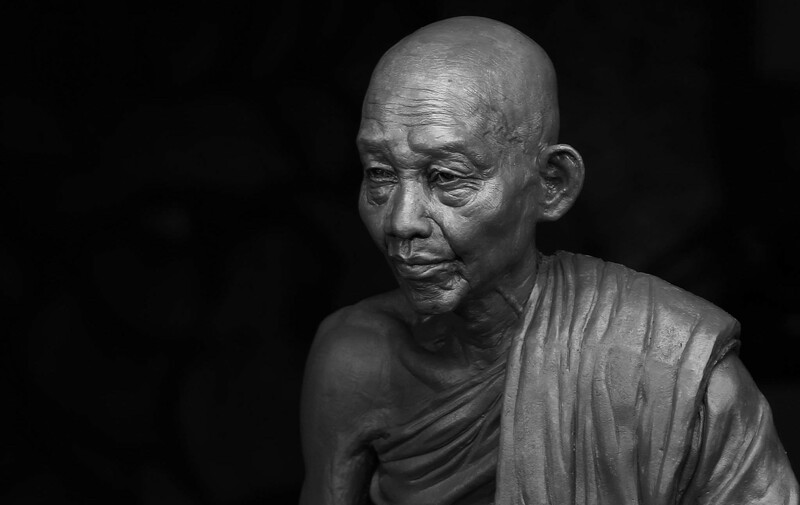 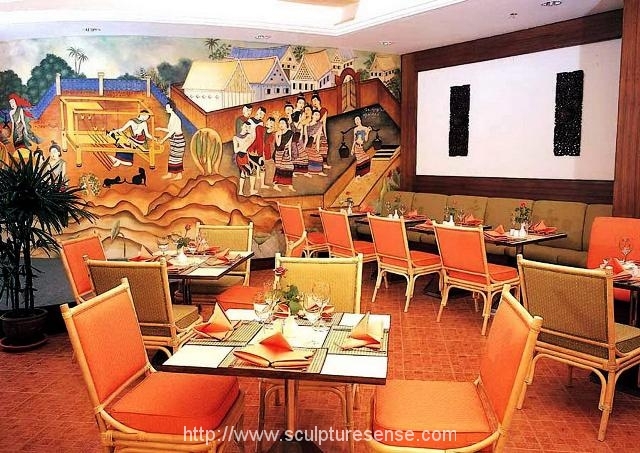 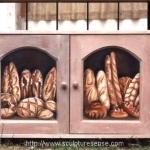 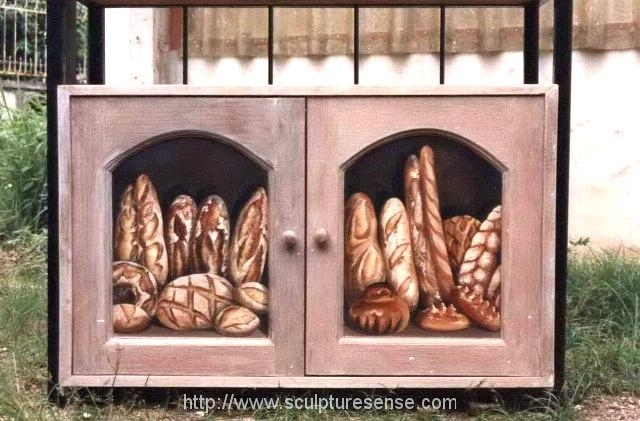 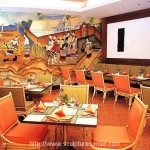 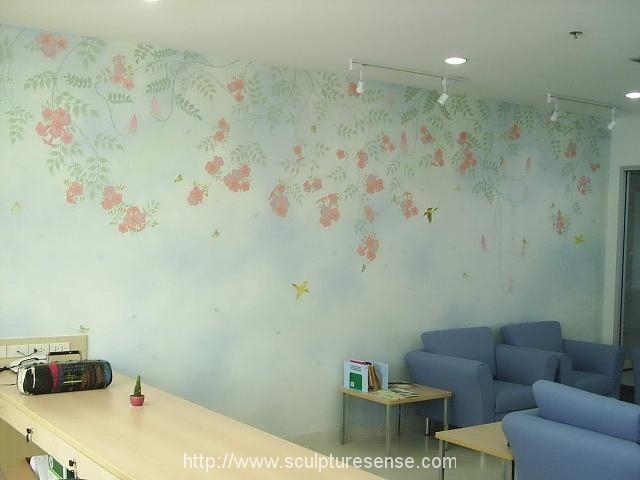 Although the primary focus at Sculpture Sense is on 3D work, we also have on our team accomplished artists expert in all the traditional paint media and finishes.. 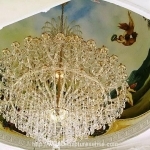 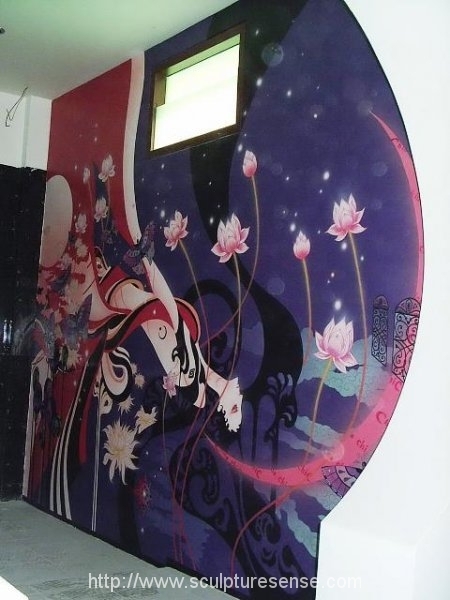 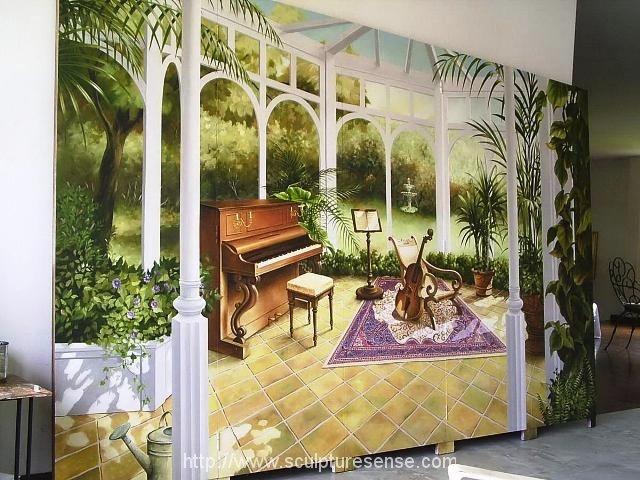 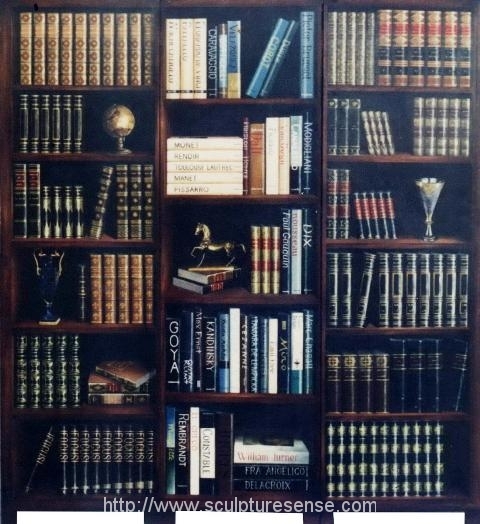 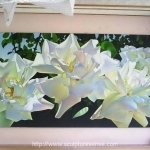 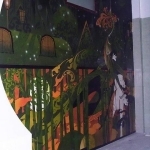 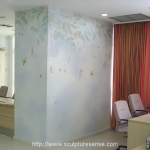 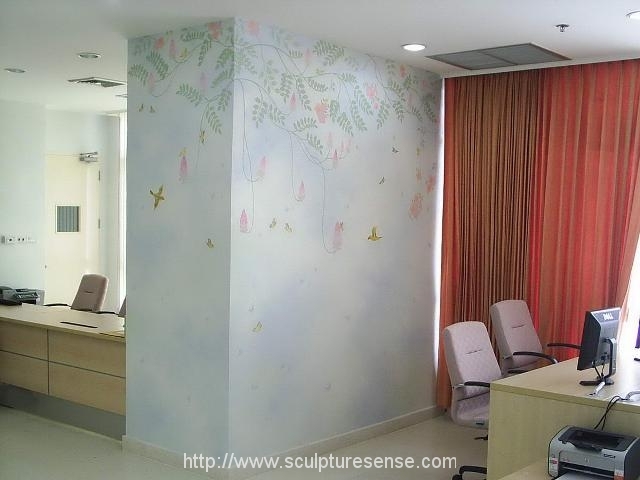 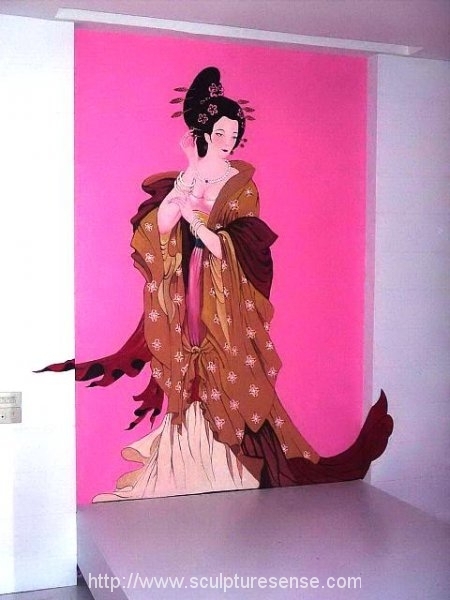 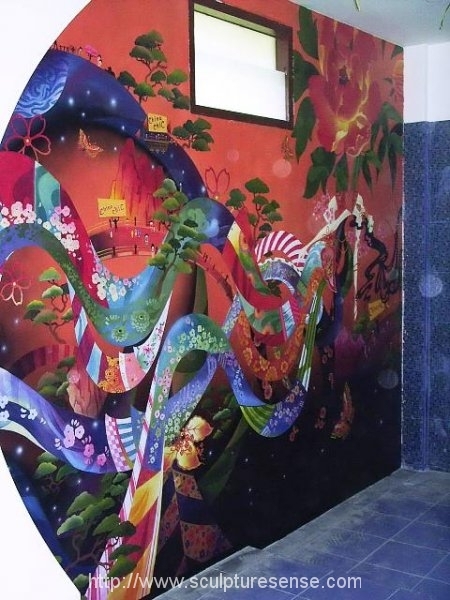 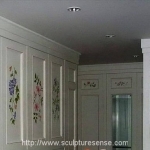 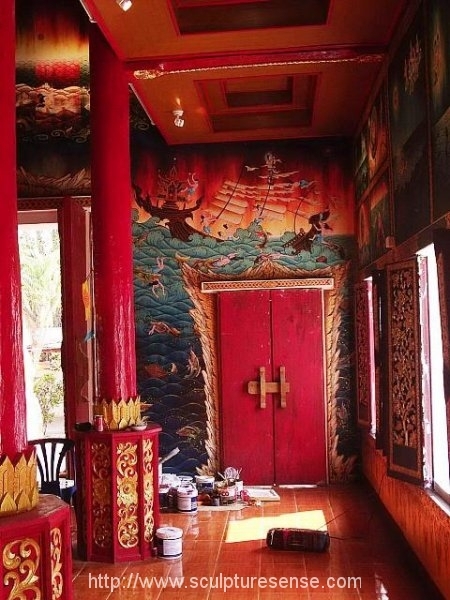 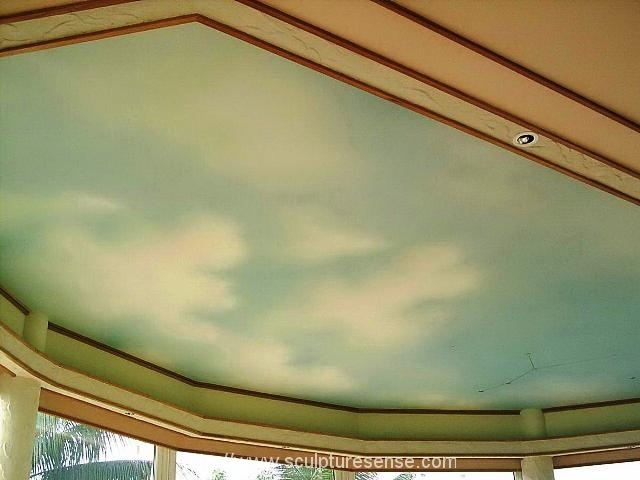 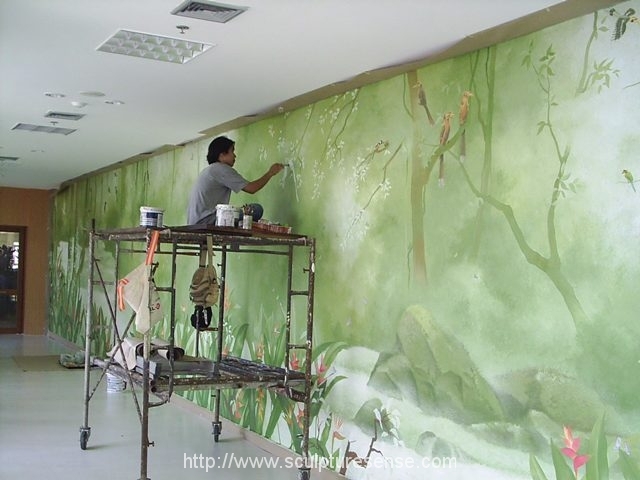 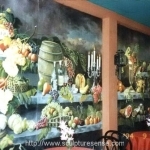 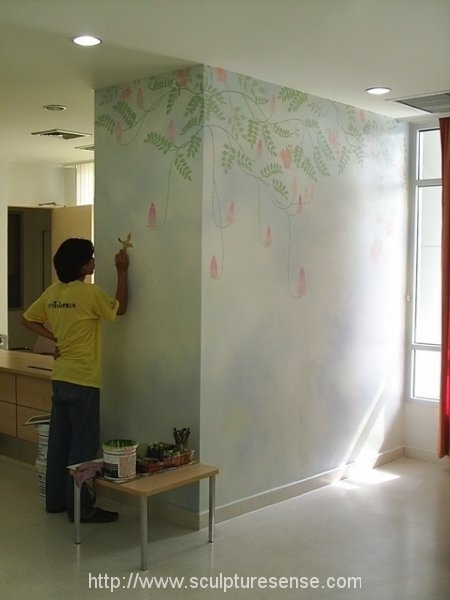 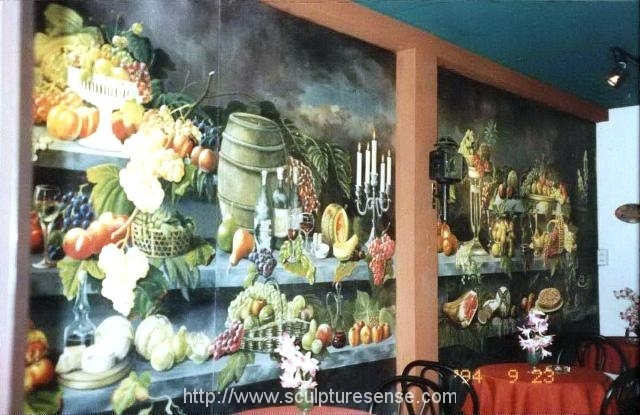 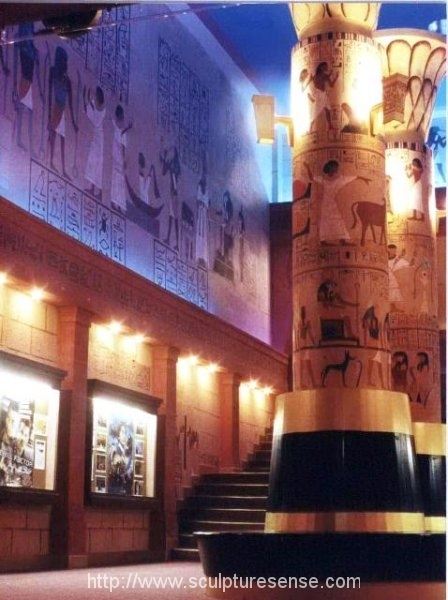 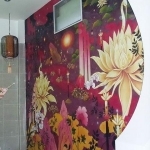 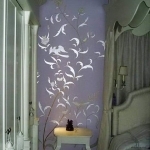 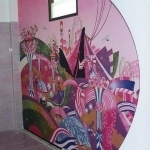 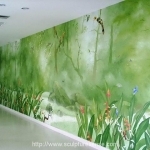 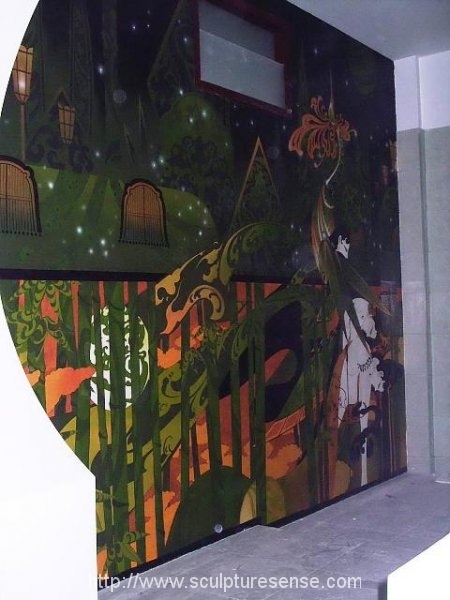 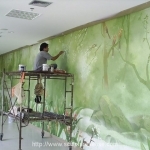 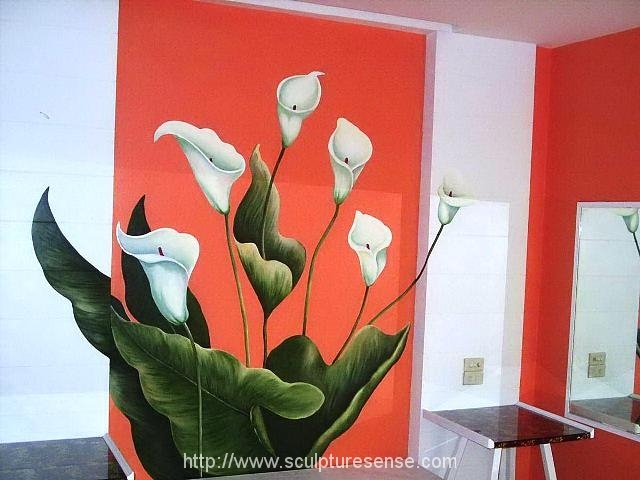 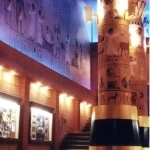 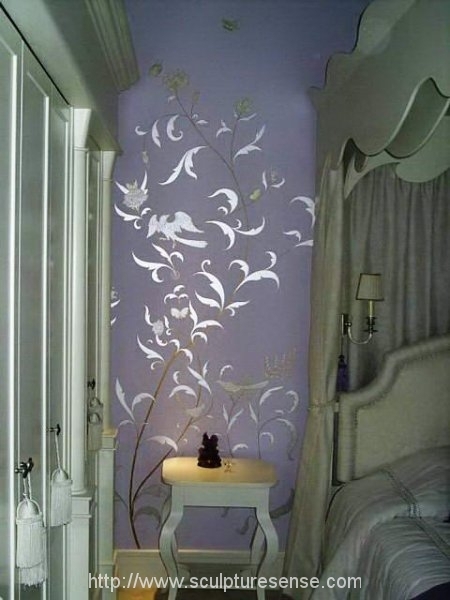 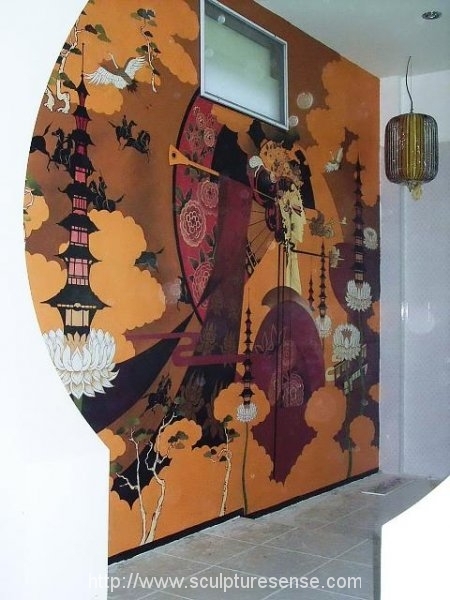 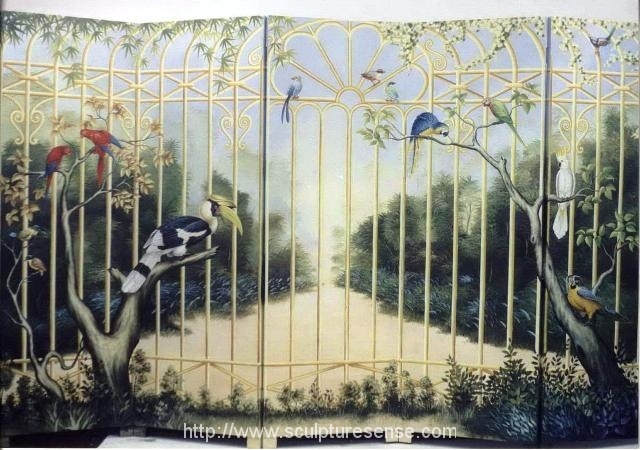 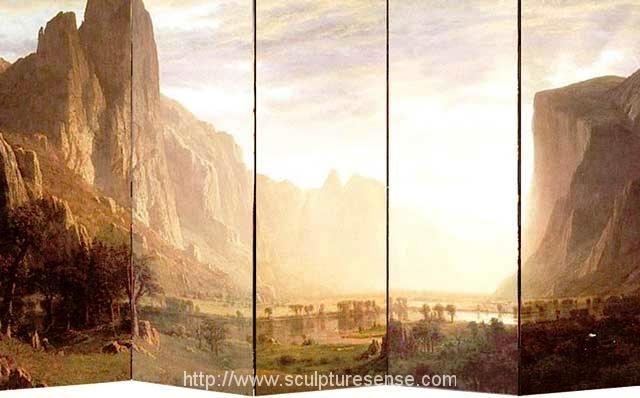 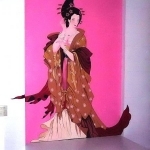 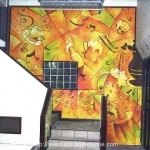 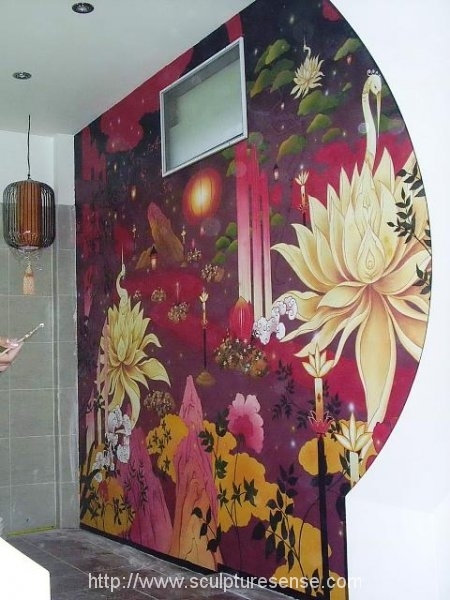 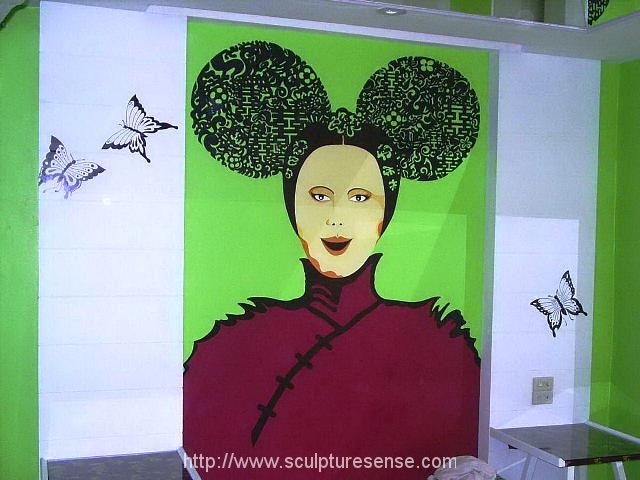 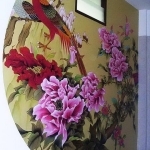 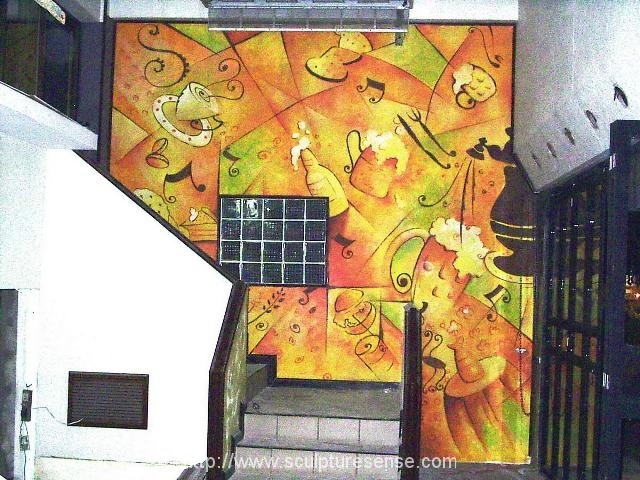 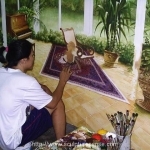 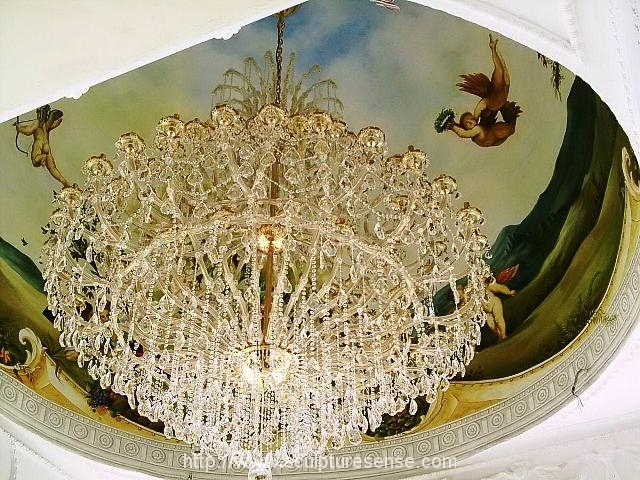 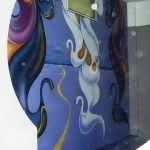 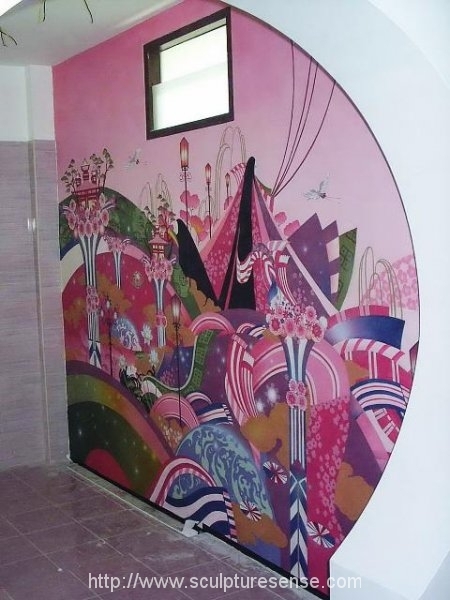 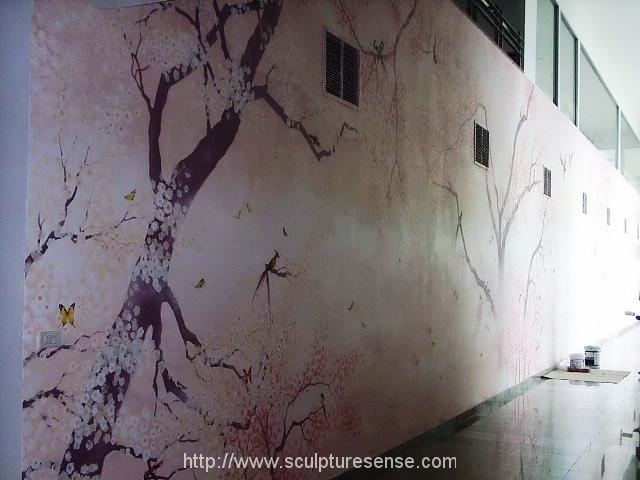 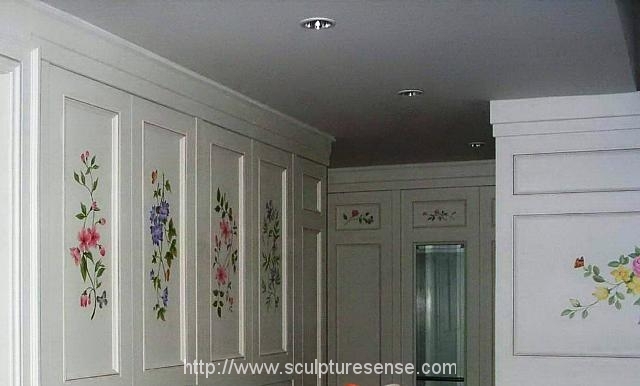 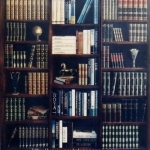 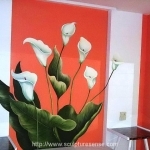 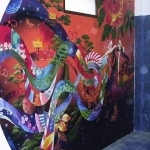 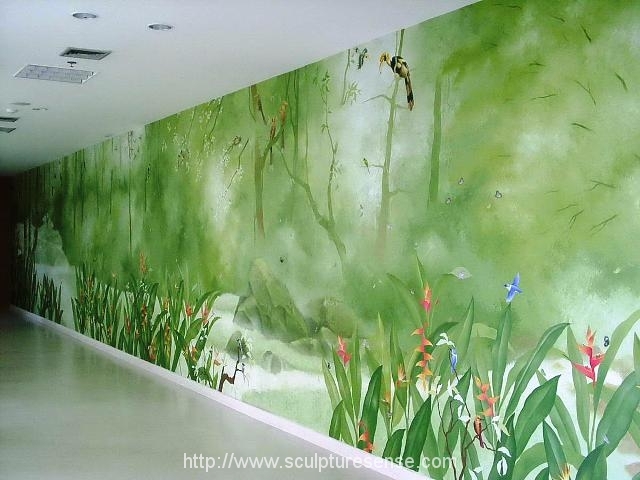 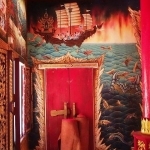 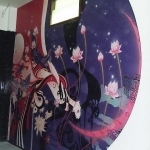 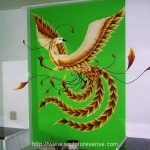 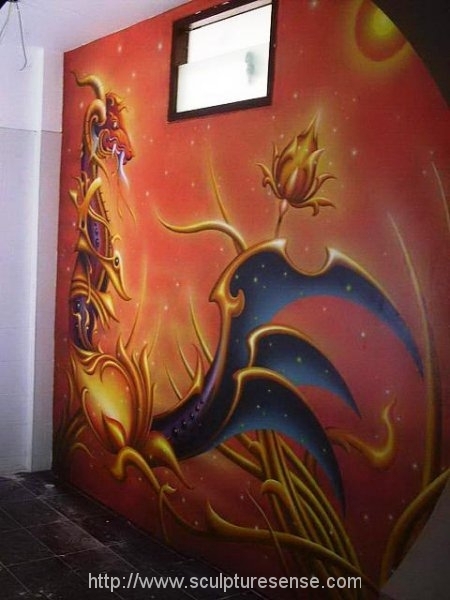 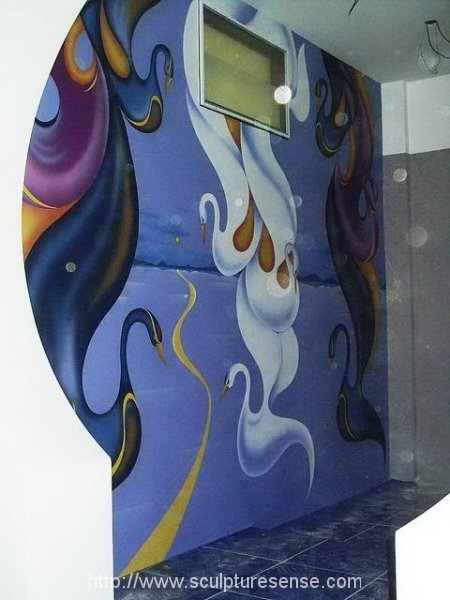 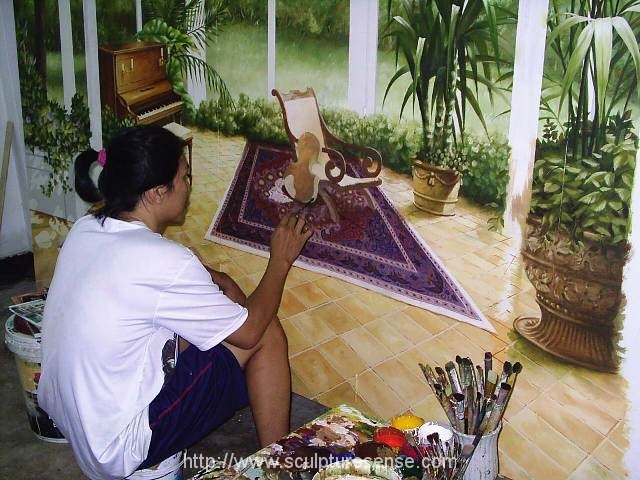 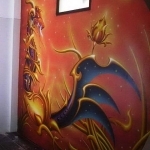 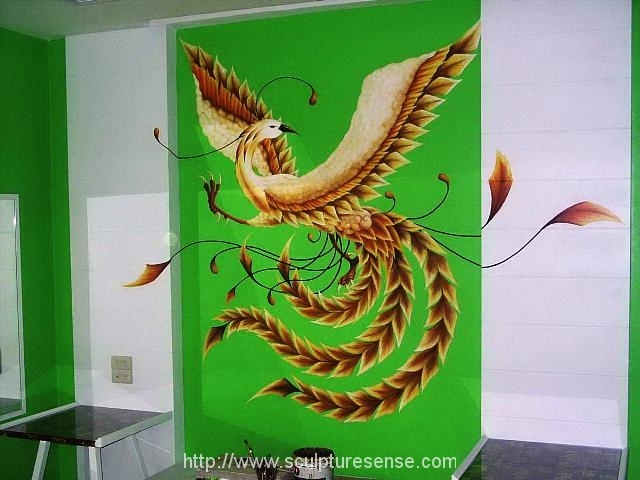 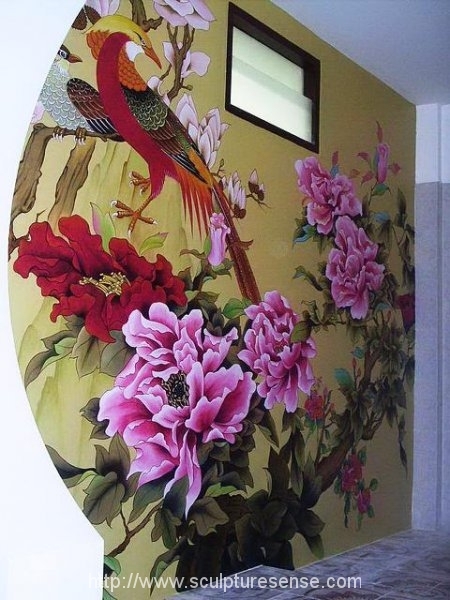 If your requirement is to decorate your home, public building or business, we can send in our artists to create stunning and beautiful murals, special finishes and trompe l’oeil works for you. 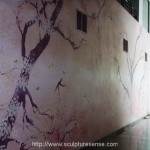 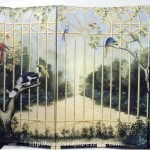 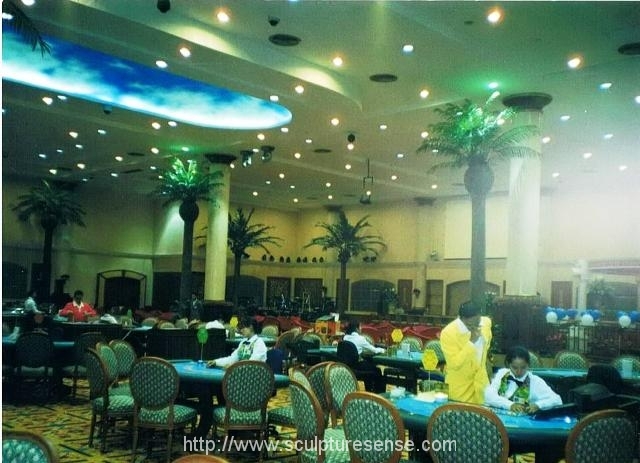 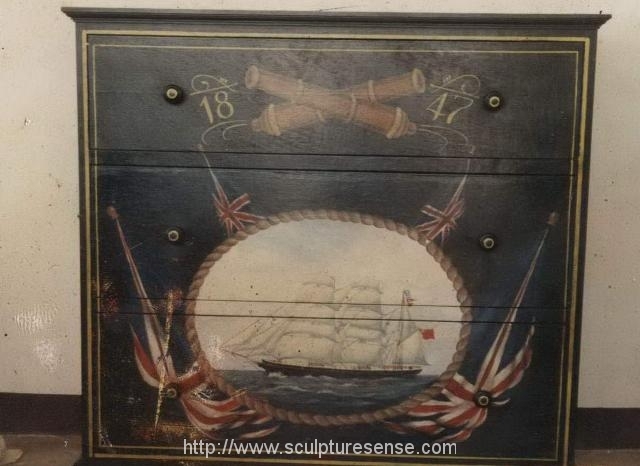 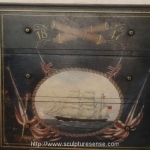 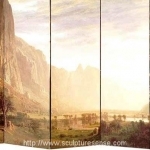 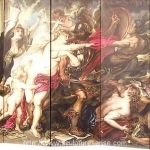 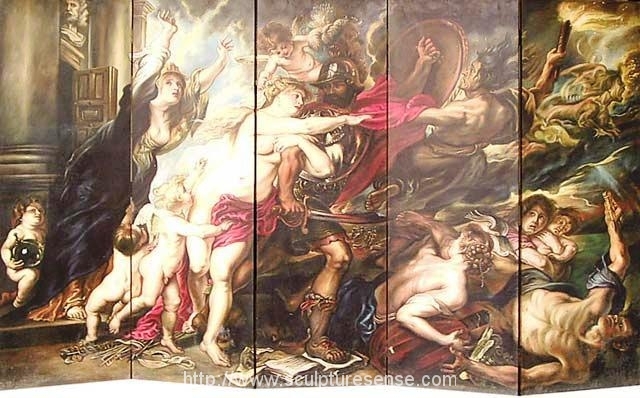 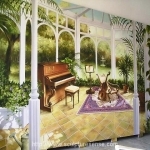 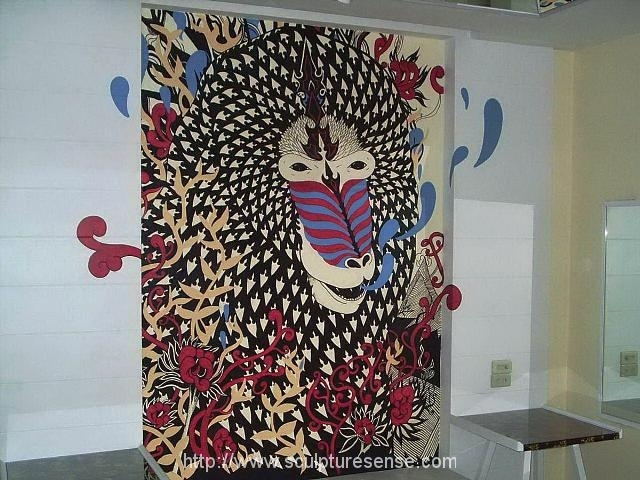 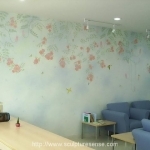 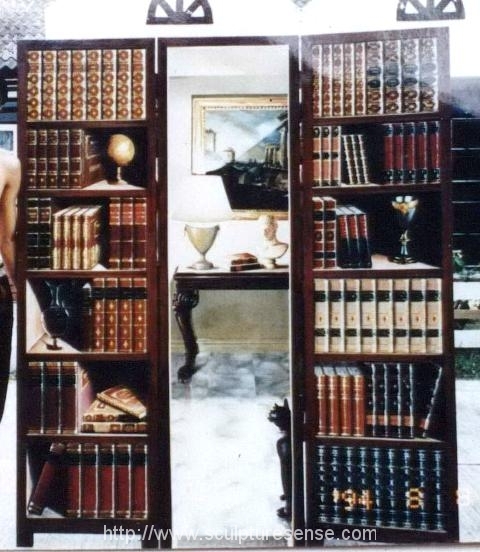 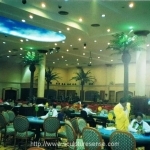 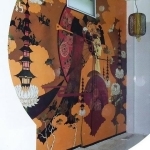 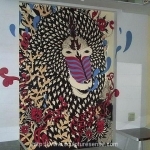 We can also arrange to decorate such items as room dividers, panels and furniture suitable for shipment worldwide. 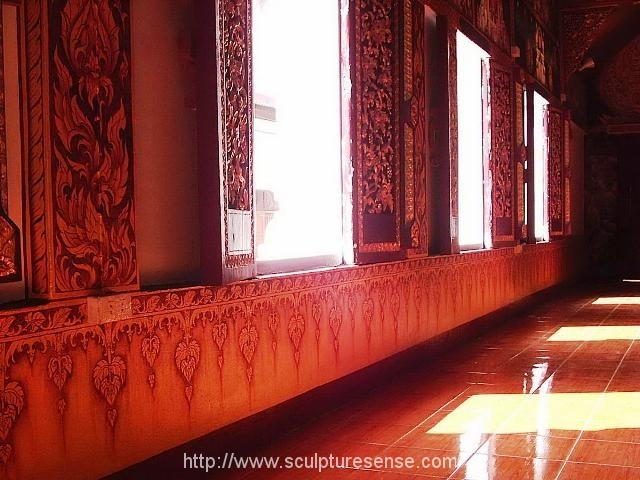 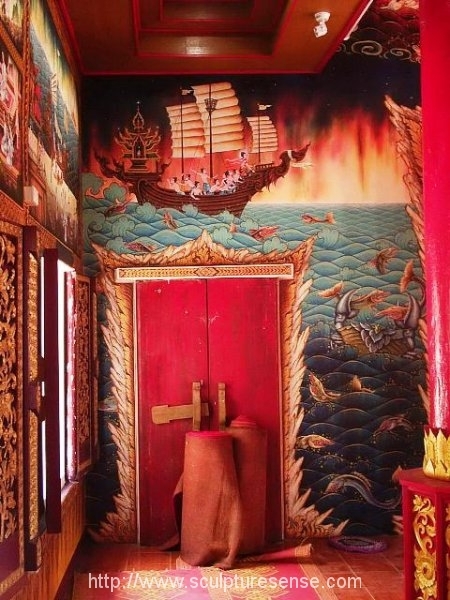 Chiang Mai and surrounding towns in the north have a number of interesting furniture manufacturing showrooms. 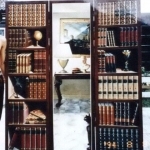 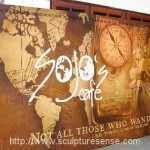 There is also a wide range of antique and vintage furniture and other unique and interesting objects to source locally. 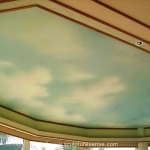 Whatever you require, we are ready to provide an obligation free quotation that will provide first class results with the affordable price.